Join scholars of American religion on Friday, November 16, 2018, at the Abraham Lincoln Library and Museum in Harrogate, Tennessee, as they discuss faith in Lincoln’s America at this year’s Lincoln Symposium and Kincaid Lecture. Speakers include Dr. Thomas Kidd, Dr. Terrie Aamodt, and Dr. Luke Harlow. The cost of the event to the public is $30.00 (covers lectures and luncheon). Students, faculty, and staff of Lincoln Memorial University may attend all sessions free of charge; lunch for LMU community members is $10.00 and requires registration. Registration is required for all who wish to attend, whether a student, faculty, or community member. To register, please email natalie.sweet@lmunet.edu by November 13, 2018. Copies of each author’s book will be available for purchase and signing at the event. Thomas Kidd is the Associate Director of the Institute for Studies of Religion, and the James Vardaman Distinguished Professor of History at Baylor University. He is the author or editor of twelve books. Recent works include Benjamin Franklin: The Religious Life of a Founding Father (Yale University Press, 2017), American Colonial History: Clashing Cultures and Faiths (Yale University Press, 2016), Baptists in America: A History (with Barry Hankins, Oxford University Press, 2015), and George Whitefield: America’s Spiritual Founding Father (Yale University Press, 2014). He has written for outlets including the Washington Post and the Wall Street Journal. Kidd blogs at “Evangelical History” at The Gospel Coalition website. Terrie Dopp Aamodt is professor of History and English at Walla Walla University. Her own roots in Virginia’s Shenandoah Valley informed her doctoral work in American and New England Studies at Boston University. Her revised dissertation, Righteous Armies, Holy Cause: Apocalyptic Imagery and the Civil War, was published by Mercer University Press in 2002. 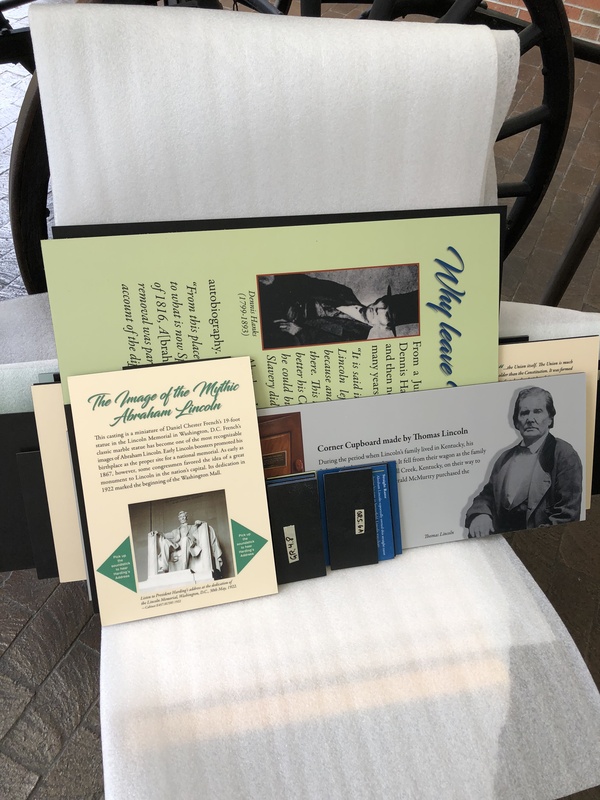 She has explored relationships between religion and visual culture in topics ranging from the American Shakers to the House of David barnstorming baseball teams, which pioneered racial integration in the sport during the 1920s and 30s. She has led several Civil War tours of the Virginia theater for college credit, including a bicycle tour. Current interests include the memorialization of the Civil War in the Northwest and investigation of photographs, magazine illustrations, and other images of Reconstruction and the Jim Crow era in an extension of her earlier work on the Civil War. She is exploring and comparing the trajectories of the Bloody Shirt and Lost Cause responses to the war. Luke Harlow is Associate Professor and Director of Graduate Studies in History at the University of Tennessee, Knoxville. He is a historian of religion, race, and politics in the era of the American Civil War, and his published work includes Religion, Race, and the Making of Confederate Kentucky, 1830–1880, which received a Kentucky History Award. He is currently writing Faith in the Institutions of the Republic: Lydia Maria Child in Civil War and Reconstruction, a book focused on one of the most famous abolitionists and writers of the nineteenth century. 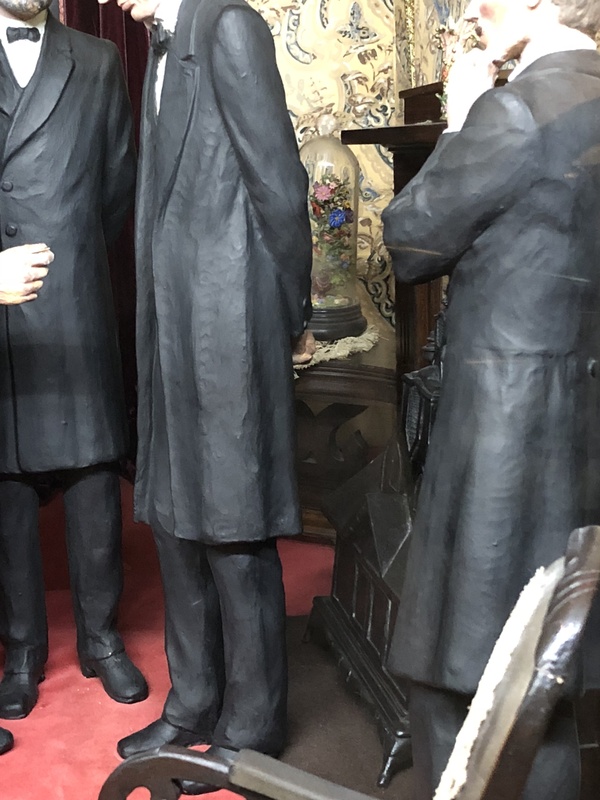 This project explores the relationship between northern antislavery reformers and politicians, and raises questions about the moral foundations of democratic republicanism in the age of emancipation. 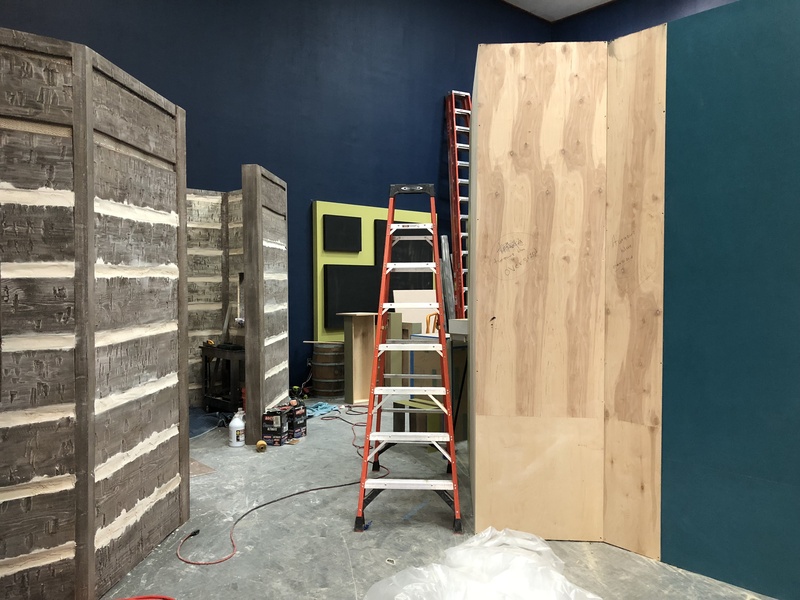 We ended up having a little extra wall space in our new exhibit, so we’ve decided to get with our designer to create a new panel on Lincoln’s family life. I’ve spent the past few days working on the text. Writing exhibit copy is always hard—much more difficult, in my experience, than any other type of writing. Your audience is necessarily broad and you don’t have much space. The pressure to be clear and concise can be downright crushing. And since museums speak with an authoritative voice, you have to be as even-handed as possible. Covering the Lincolns’ marriage within these guidelines has been especially difficult, mostly because of Mary Todd Lincoln. She was undeniably volatile. She shouted. She screamed. She chased Lincoln out of the house with a broom, clocked him on the nose with a chunk of firewood, and chewed him out in front of friends and neighbors. She pestered him over his informal manners and his unfashionable, ill-fitting clothes. She bullied the maids and haggled unbecomingly with salesmen. Even when he was home, some of Lincoln’s eccentricities must have compounded her stress. He answered the door in his shirtsleeves, sat down to dinner without his coat, and stretched out on the floor to read. He became so absorbed in thought that he didn’t notice her speaking to him, or failed to see that one of the boys had fallen out of the wagon in which he was pulling them. When she launched into one of her tirades, one neighbor recalled, he would ignore her—or worse, laugh at her. If we’re going to give our visitors a sense of what Lincoln’s domestic life was like, Mary’s tantrums have to be a part of the story. They’re too prominent in the record to dismiss (although I suspect Herndon pressed the issue in his interviews with Lincoln’s acquaintances, given his evident dislike for the woman). At the same time, though, our handling of the Lincolns’ marriage needs to be well-rounded. As tempting as it is to devote all our space to colorful anecdotes about Mary’s histrionics, those incidents don’t tell the whole story. We don’t want to reduce her to a crude caricature. Some depictions have stooped to this level. In D.W. Griffith’s 1930 film Abraham Lincoln, Mary is an unbearable shrew, played almost strictly for laughs. What our exhibit needs, in other words, is detail and nuance. That’s not easy to pull off in the tightly confined space of a single panel. A biographer could take an entire chapter to develop a balanced appraisal of Mary. We have to do it in a few sentences. And those sentences have to be accessible and engaging to everybody from elementary school students to members of our institution’s faculty. Sometimes people think public history is easier than academic history. The truth is, public history only looks easy because part of the job is making it look easy. And that’s usually the hardest part of the gig. 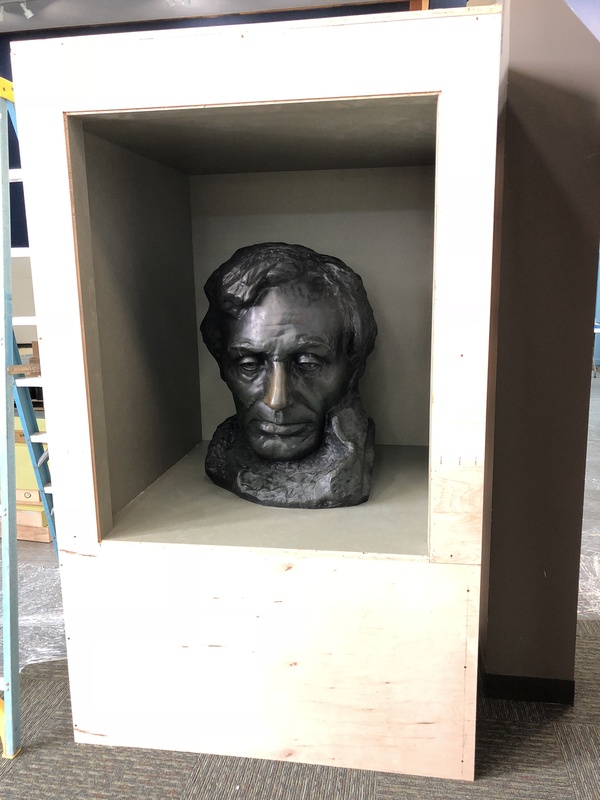 The Abraham Lincoln Library and Museum won’t be re-opening until the end of this month. 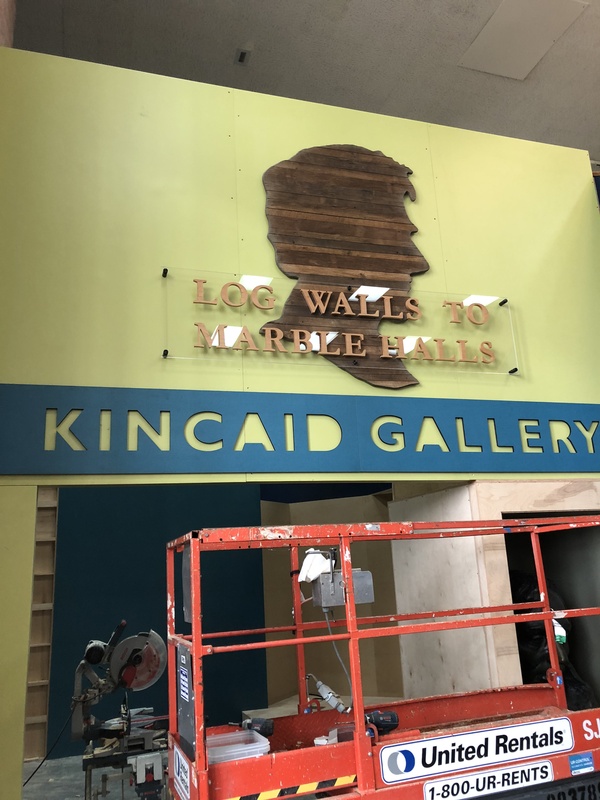 But here’s a look at what’s been going in the Kincaid Gallery, where our new permanent exhibit Log Walls to Marble Halls is under construction. Just inside the entryway is a recreated section of the Kentucky cabin where Abraham Lincoln was a child. 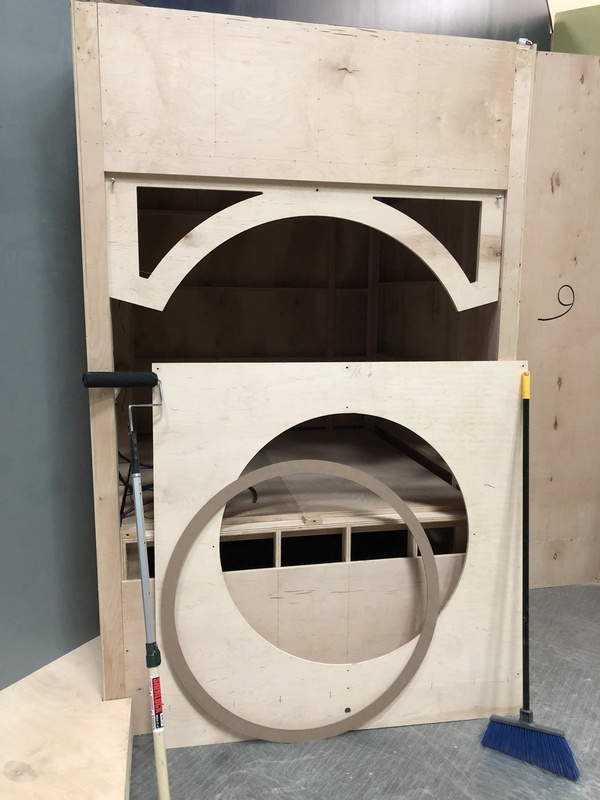 Pretty soon, it’ll be home to an original corner cupboard built by his father, Thomas. When this case is assembled, visitors will peer inside and get a glimpse back in time at one of our WPA dioramas. 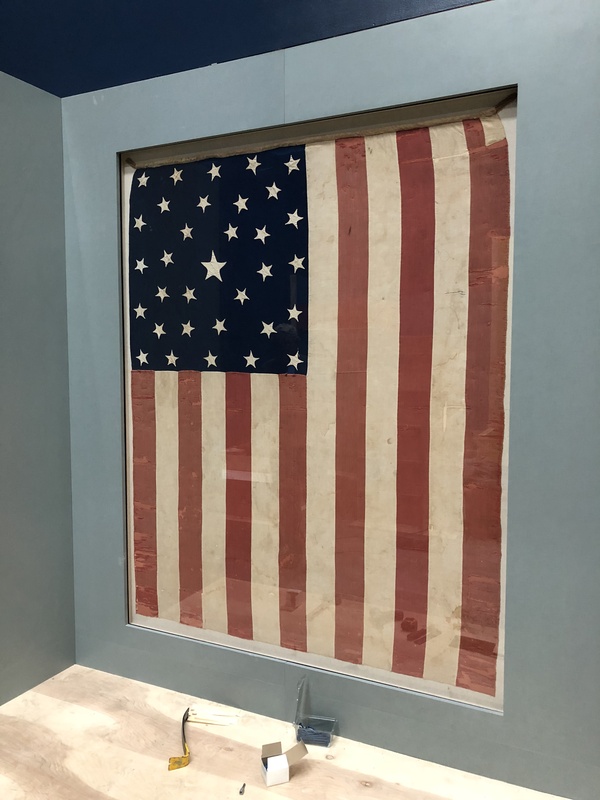 …and one of the last is this 1858 flag, a relic from Lincoln’s campaign against Stephen Douglas. The folks from Owen Design Group and 1220 Exhibits have done amazing work in making this dream a reality. We’re delighted to see this project nearing completion. But we’re also eager to tell the rest of Lincoln’s story, and the story of the war over which he presided. Click here to learn how you can help make it happen. The diorama is still one of the most effective gimmicks in the museum business. You can lose yourself in these little worlds behind glass. Maybe it’s the fact that they’re three-dimensional. 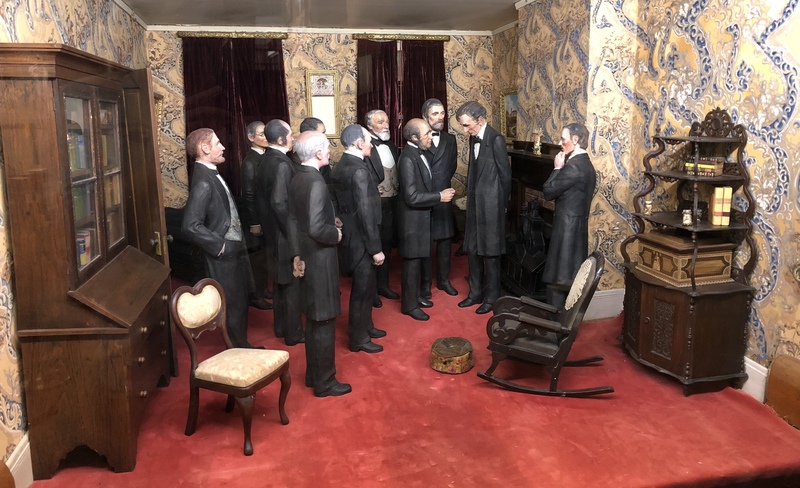 In 1939, the Work Projects Administration funded the creation of twenty dioramas depicting scenes from Abraham Lincoln’s life for the Chicago Historical Society. Painstaking research and craftsmanship went into each one. Some fifty artists spent two years putting them together. Today we have five of these masterpieces on exhibit at the ALLM. Visitors (especially kids) are invariably drawn to them, like metal shavings to magnets. Let’s take a look at one of the scenes. It’s May 19, 1860. We’re inside the parlor of Abraham Lincoln’s Springfield home. The Republican Party has just concluded its second national convention in Chicago. A delegation has arrived by train to inform Lincoln that he’s the party’s nominee for president. George Ashmun of Massachusetts is handing Lincoln the official letter of nomination. 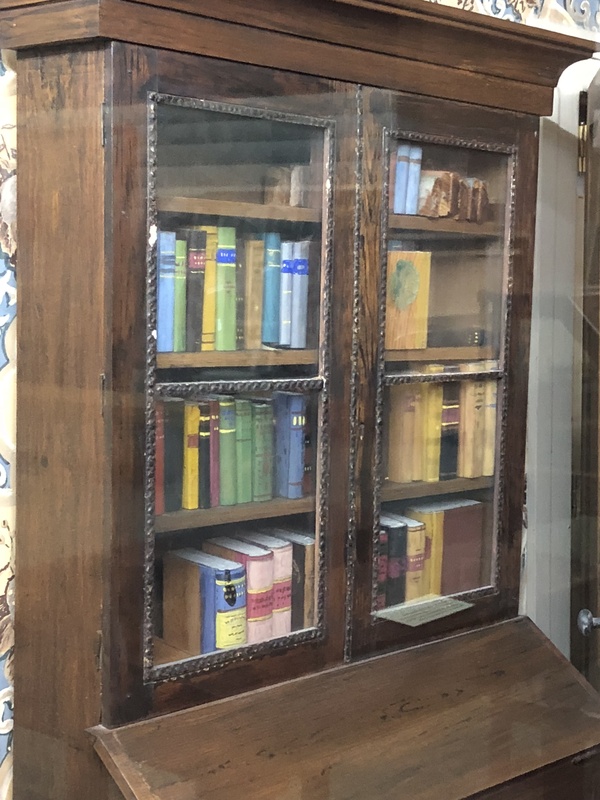 …and the tiny books on the shelf. The attention to detail is nothing short of astonishing. 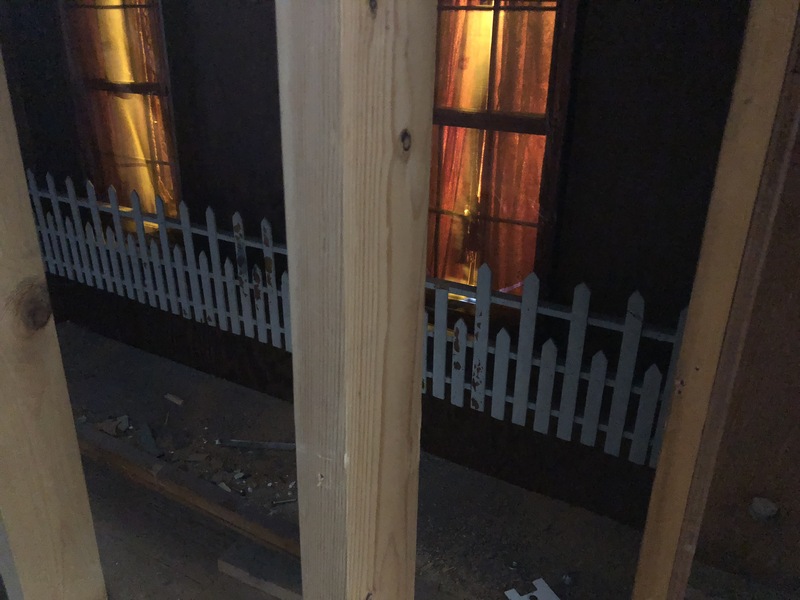 There’s a miniature picket fence affixed to the exterior of the back wall, just in case a viewer should decide to peer through the windows. It’s hardly visible from the front; most visitors probably don’t notice it. I had no idea it was there until the first time I saw the diorama from the back. The Lincoln figure looks pretty solemn, but there was a bit of levity to the proceedings. 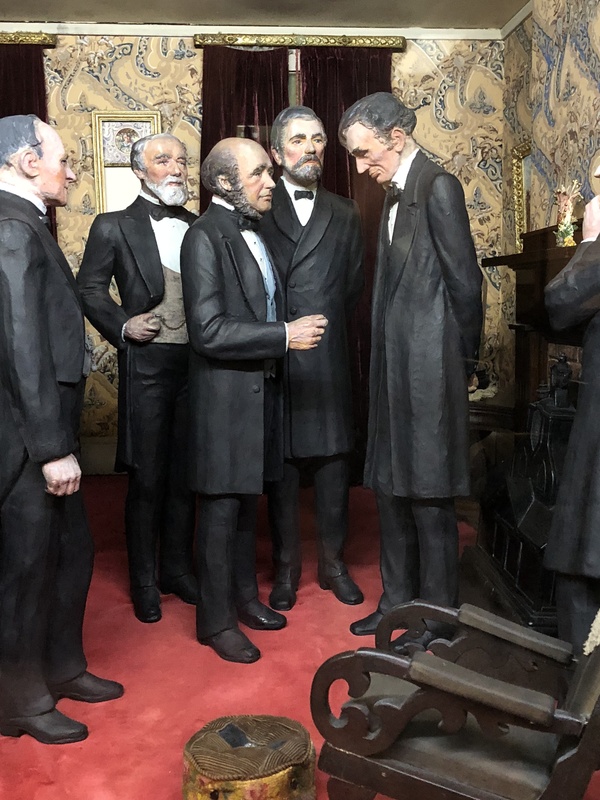 The nominee asked William D. Kelley of Pennsylvania—I think he’s the fellow standing between Ashmun and Lincoln—how tall he was. Kelley was 6’3″.